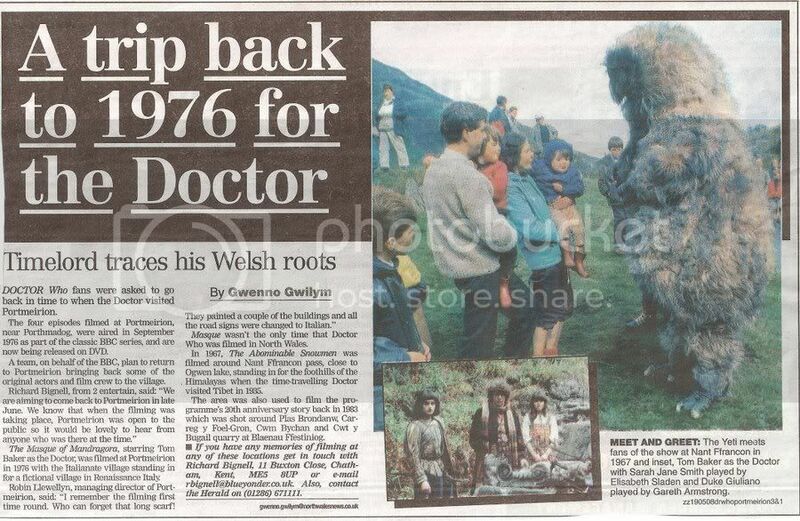 In 1976, a BBC film crew descended upon Portmeirion for filming of the "Doctor Who" story "The Masque of Mandragora", and following a plea from Who DVD producers 2|Entertain in the Caernarfon and Denbigh Herald for people present at filming to come forward, it looks as though a long-awaited DVD release of the story is due soon! We could, however, wait as long as 2009 or later for the release, but it seems as though the DVD will include newly shot extras featuring Portmeirion (click on the image for the full article). With thanks to SR for this news item.